Minimally Invasive Spine SurgeryTraditional spinal surgeries usually require large incisions and stripping away the muscles of the spinal column just to get to a herniated disc. Now, new technology allows these complex procedures to be performed with the help of a microscope to magnify and illuminate the damaged area. Instead of stripping away the muscle, your surgeon can use a microscope to view the area through a much smaller incision and create a tunnel to the disc. This is done by splitting the muscle to pass the instrument through.Minimally invasive procedures result in less visible scars and shorter recovery times. A discectomy, or removal of the disc, can often be performed this way.However Not all patients are candidates for MIS. Whether the patient an undergo minimally invasive surgery or not is decided on the basis of clinical examination and MRI findings. Spinal fusion is a surgical procedure used to link together vertebrae, often because of a severely damaged disc. Discs can be damaged from rupturing, slipping, natural degeneration or injury. The damaged disc can cause severe leg and back pain and may require surgery if the pain is not relieved by conservative treatment. Pt with spondylolisthesis and spinal instability also require fusionDuring spinal fusion surgery, bone growth is stimulated and then used to link the vertebrae together to stop the painful movement in the area. Titanium metal screws or a titanium metal cage can be used to fuse the bone together. A lumbar microdiscectomy is performed to relieve pressure on nerve roots caused by a severe herniated disc in the lumbar spine that causes sciatica like pain. The lumbar spine is the lower area consisting of the bottom five vertebrae. A herniated disc may cause lower back pain and pain or numbness in the legs and feet. Surgery may be needed if symptoms include severe leg pain, weakness or numbness in the extremities and impaired bowel or bladder function.A lumbar microdiscectomy is a minimally invasive procedure. A microscope is used to view the area through a small incision aroud 2 c.m long in the lower back to view the pinched nerve. Surgical instruments are then inserted through the incision to remove only the portion of the disc that is applying pressure on it, as well as any disc fragments that may have broken off.Patient is made to sit stand and walk from very next day and is discharged Next day. Stiches, in selected cases, can be can be self dissolving subcuticular which does not require removal. Patient can join back their desk job in 2 weeks. 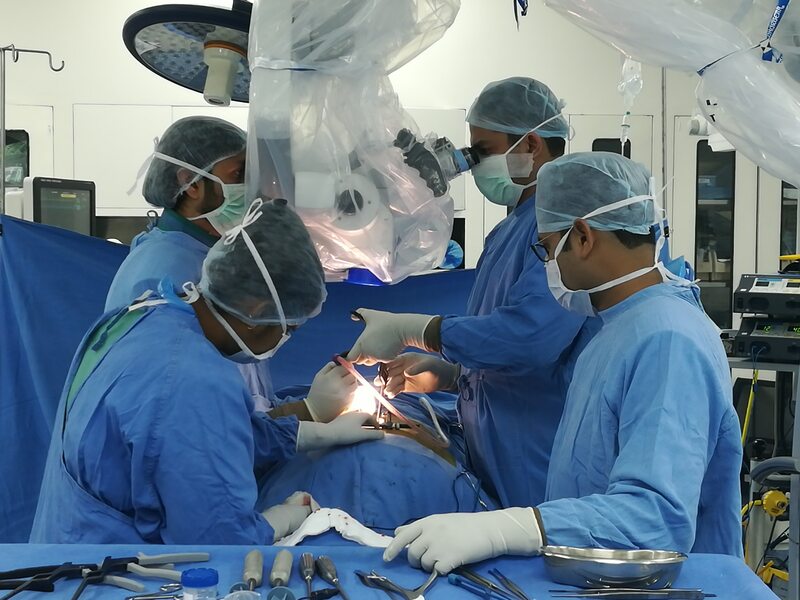 Dr Pramod Saini is an Orthopaedic surgeon with special interest & training in spine surgery.He is One of the few Spine surgeons in Delhi NCR who are regularly deformity surgeries like scoliosis and minimally invasive Spine surgeries. He attained clinical and surgical expertise through Senior Residency at AlIMS, New Delhi and Fellowship in Spine surgery at PD Hinduja Hospital, Mumbai & Indian Spinal Injury Centre, New Delhi. 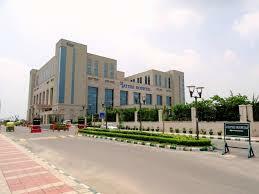 He is one of the best spine surgeons inGhaziabad, Noida and around Delhi NCR. His primary aim has always been to treat patients with nonsurgical methods like medicines and physical therapy. However, if non surgical treatment fails or the problem warrants surgical management, he provides expertise for all spinal surgeries like Microdiscectomy, Spinal fusion, Disc replacement and failed back surgeries. Dr Pramod Saini is a Fellowship trained, Board certified Spine surgeon. 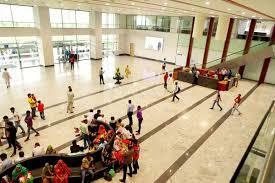 Currently, He is associated with Jaypee Hospital, Noida as Consultant in Department of Spine Surgery. He is a young & dynamic Spine surgeon with specialization in managing all spine related disorders. He has more than 10 years of experience and is extensively trained in performing spine surgeries for disc prolapse, Lumbar canal stenosis, spondylolisthesis, fixation, fusion and spine trauma surgeries. Dr Saini received his undergraduate training at prestigious Grant Medical College, Mumbai. He did Masters in Orthopaedics from Sawai Man Singh Medical College, Jaipur followed by DNB Orthopaedics from National Board of examinations, New Delhi. 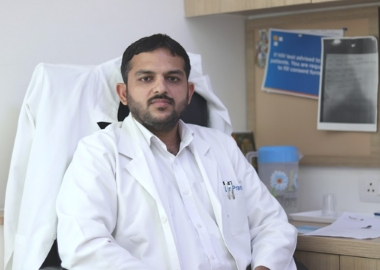 After his post graduation, he joined AIIMS, New Delhi as Senior Resident in Department of Orthopaedics where he developed interest in Spine surgery. To pursue his Interest further he went to PD Hinduja Hospital & Medical research centre, Mumbai for a two year Spine fellowship which is conducted by National Board of examinations, New Delhi. 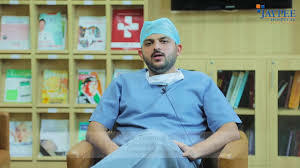 During his fellowship he trained extensively in Spinal diseases and performed different spinal surgeries, both independently and under supervision. At end of fellowship he was awarded with degree of FNB Spine surgery which is a MCI recognized qualification. Subsequently he joined Indian spinal injuries centre, New Delhi where he further trained in management of spine trauma and rehabilitation. In addition to Jaypee hospital, He practices at his personal clinic in Indirapuram, Ghaziabad in Evening from 7 pm to 9 pm. Dr Saini has an interest in academics and research and has many international publications to his credit. He is a member of Association of Spine Surgeons of India and AO spine.